Boost your carts, launch off walls, or leap to great heights with Battle Royales latest addition, the Bouncer Trap. Save the World gets shiny new Heroes as Diecast Jonesy and Chromium Ramirez make their debut. Unlock these new additions in the Event Store. The sky is the limit. 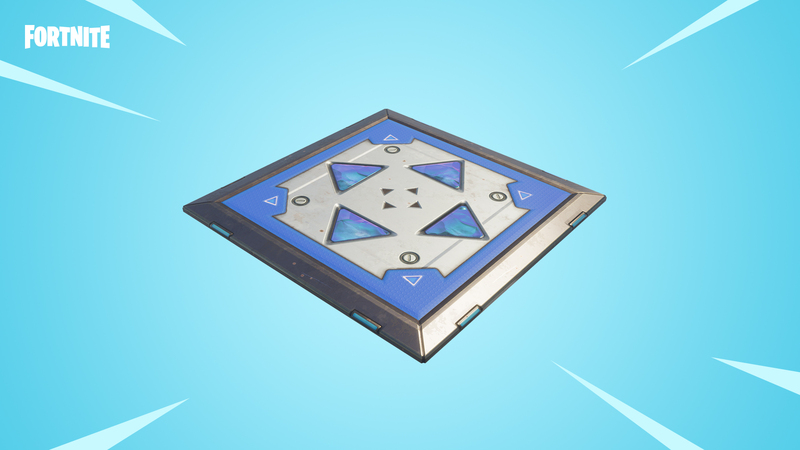 Hop on the new Bouncer trap and send friend or foe soaring! Shiny! 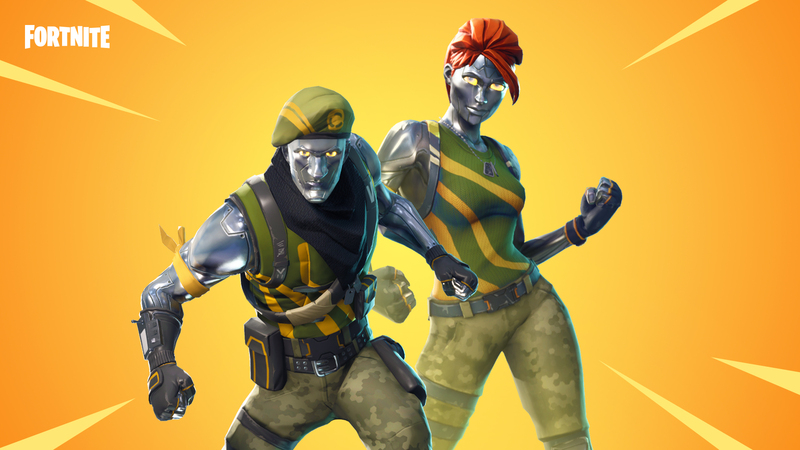 Diecast Jonsey and Chromium Ramirez are now available in the Save the World Event Store. One of our goals for Fortnite is to have a number of ways to play the game and be successful. We’ve identified some strategies that are overly dominant and we’ll be making some adjustments today. Going forward we’ll continue to monitor how we can best support that gameplay variety. Here are some of the immediate changes coming today! Shotgun consistency across the board is also something we're looking into and aim to improve. We want to make it more apparent when you hit or miss a shot. In addition to that, making sure the accuracy is more consistent and improving other odd behaviors with the weapon is a top priority. We've identified a number of issues that we're currently working on solving in the near future. The Jetpack was introduced as a Limited Time Item. You can learn more on the goals of Limited Time Items as a concept in this post. We will be vaulting the Jetpack at 8am on Monday, June 11. Get in your last matches before then! We may bring back the Jetpack at a future date with some improvements and new changes. Drops in stacks of 3 in Treasure Chests, Supply Drops, Supply Llamas or floor loot. Can be placed on floors and walls. Provides a jump boost upward or in a direction. We are making the following changes to address a few top concerns, including: Rocket Launcher and Grenade Launcher dominance in the late game, Minigun effectiveness, and overall resource availability. We will be closely monitoring these changes when they are live to assess the impact and re-adjust as necessary. Decreased material stacks from 500 to 200 per resource. Material drop chances in floor loot reduced by 33%. Material stack sizes in floor loot reduced by 33%. Light Ammo stack sizes increased from 12 to 18. Explosive Ammo availability decreased 50%. Light Ammo spawn increased from 60 to 90. Damage against structures increased from 25 to 30. C4 structure explosion radius increased from 400 to 600. Teams of 20 Storm Damage per tick adjusted. Storm circle 1 damage per tick decreased from 10 to 1. Storm circle 2 damage per tick decreased from 10 to 2. Storm circle 3 damage per tick decreased from 10 to 4. Storm circle 4 damage per tick decreased from 10 to 8. Available in the Event Store Wed, June 6 at 8pm ET.